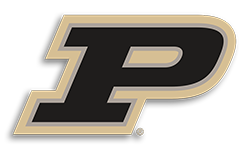 The Hoosiers came into this game with back to back losses from Northwestern and Purdue and have struggled to get back on the winning track. Starting the season strong at 15-2 (4-1 in the BIG 10) this slump has pushed them outside the top 25 rankings. The Wolverines came into this game with an impressive 12-7 record but have only won 2 games on the road this season. Both teams started off rough with turning the ball over and taking unnecessary shots. Once both teams were settled down, the hoosiers started getting to the basket and jumped out to a 9 point lead. Their defense remained poised in the 1st half and they were not letting easy buckets inside. 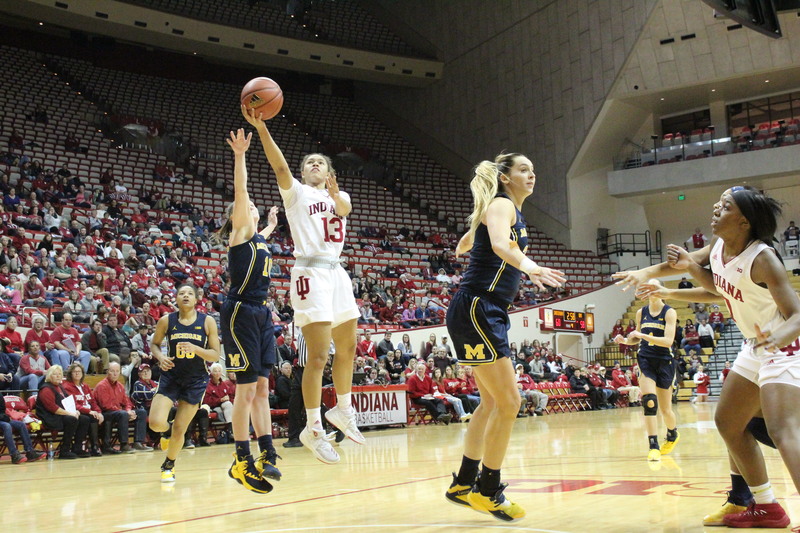 Late in the 1st quarter a nice step back Harden-esq three from Jaelynn Penn sparked the Hoosiers and pushed them toa score of 20-14 to end the 1st quarter. The 2nd quarter saw the Wolverines clamp down on defense and keep a close game with IU only having a 3 point lead to close the half. Jaelynn Penn lead the Hoosiers in the 1st half with 16 points and went 6/10 from the field. Ali Pattberg leads with 7 assists in the 1st half. The 2nd half saw the Hoosiers come out with a very quick tempo style. They were able to get up and down the court quickly on defense and make baskets in transition. The hoosiers were able to to hold on to their lead to end the 3rd 57-50. Penn knocked down one more in the 3rd and Ali Patberg was able to get her 10th assist of the game. The Wolverine’s Hamilton has carried her team with 14 points. The Hoosiers ability to get rebounds and move the ball around has been the difference makers in this game. That really showed in the 4th for the Hoosiers as they held on to their lead without much of a challenge. Jaelynn Penn exploded this game with 28 points going 9/17 from the field and an incredible 6-7 from the 3 point arc. Ali Patburg finished the game with 8 points and 11 assists. It was a full team effort from the Hoosiers to get back on the winning track as they take this game 70-60 making them 16-4 on the year. They play again this Sunday at home against the Maryland Terrapins.